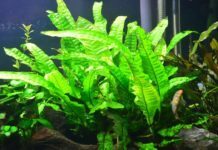 Home Freshwater Plants Why are My Aquarium Plants Dying? Just like fish, aquarium plants need proper care to survive. Lighting, feeding, substrates, type of plant, and tank mates all play a role in keeping water plants alive. 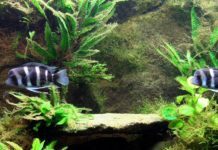 Aquarium plants not only add natural beauty to a fish tank but are beneficial in breaking down fish waste and preventing algae. 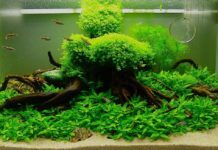 Most people focus on the fish in their aquariums and do not realize that plants also need attention to survive. The most common reasons as to why aquarium plants die, have to do with lighting, feeding, substrates, type of plant, and tank mates. If your fish tank is not equipped with fluorescent lighting, either with the traditional tube lights or the newer power compact bulbs, do not even attempt to keep aquarium plants. No matter how bright they are, incandescent lights (screw-in bulbs) do not emit the proper spectrum of light to keep plants alive. Read here about the best lights for your planted tank. The wattage of the bulbs used is also important when keeping water plants. 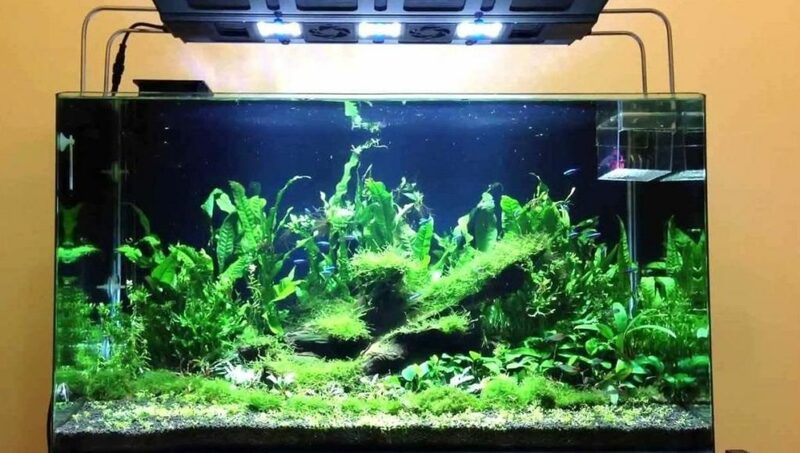 One watt per gallon of water is the minimum, but two to three watts per gallon is ideal, as most aquarium plants enjoy light intensity in this range. The color temperature of the bulbs is also important. The bulbs should emit light from the blue end of the spectrum, giving off a slightly bluish or purplish glow. Blue light penetrates right to the bottom of the tank, ensuring that submerged plants get enough light. The packaging of fluorescent lights usually states if the bulb emits the proper color temperature for plants. Though water plants will absorb nutrients from fish waste, adding aquarium fertilizers will keep plants at optimum health. Only fertilizers made for aquarium use should be used, as adding fertilizers meant for houseplants to aquarium water may upset the water chemistry, and kill all the fish in the tank. 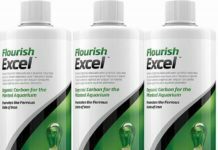 Flourish Excel from Seachem is a great option. Aquarium plants also benefit from carbon dioxide supplementation. Plants need carbon dioxide to live, and much of this is removed through filtration. A carbon dioxide diffuser can be purchased that will spray CO2 directly into the fish tank. Liquid carbon dioxide supplements can be purchased as well. I like this API CO² Booster. 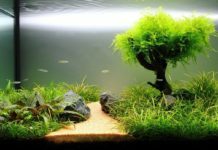 Fine gravels are better for aquarium plants than coarse ones. The root systems of water plants need something to grab and take hold of to properly develop. Course gravel is usually too large for aquarium plant root systems to grab, causing the plants to consistently float to the top. An aquarium plant that is always uprooted will not have the chance to grow strong roots and flourish. A fine layer of peat or laterite is also good to place at the very bottom of the tank, under the gravel. Peat and laterite will promote root growth, as well as help deliver nutrients to the plant via the root system. 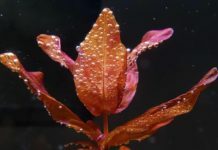 The following aquarium plants make good choices for beginners, due to their hardy nature and lower light requirements. 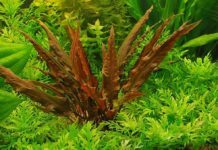 When choosing an aquarium plant, make sure it is a true aquatic plant. 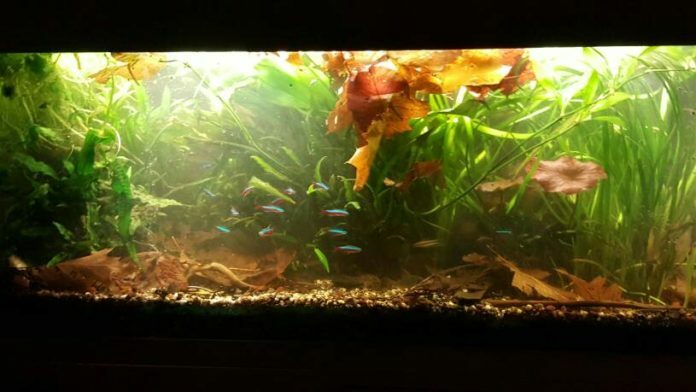 Many plants sold in the aquarium trade are often submerged under water for part of the year, but also experience dry seasons. 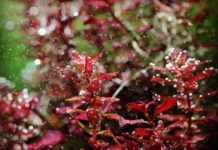 If these plants remain completely submerged throughout the year in your aquarium, they will eventually die. Most fish enjoy nibbling at a plant here and there, but some will completely tear up any plants placed in a tank with them. Cichlids, silver dollars, angelfish, and pacus usually make short work of water plants. Many snails, especially larger ones, may eat a plant down to the roots. 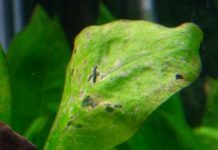 If this is happening in your fish tank, you can throw in a piece of romaine lettuce, as snails usually prefer romaine to aquarium plants, or you can read here how to remove the snails. Just like fish, aquarium plants also need attention if they are to survive. If properly taken care of, water plants add to the beauty of a home aquarium, making your fish tank look spectacular.